The old Khmer kingdom, one of the great powers of south-east Asia, established its capital cities at Angkor in present-day Cambodia. 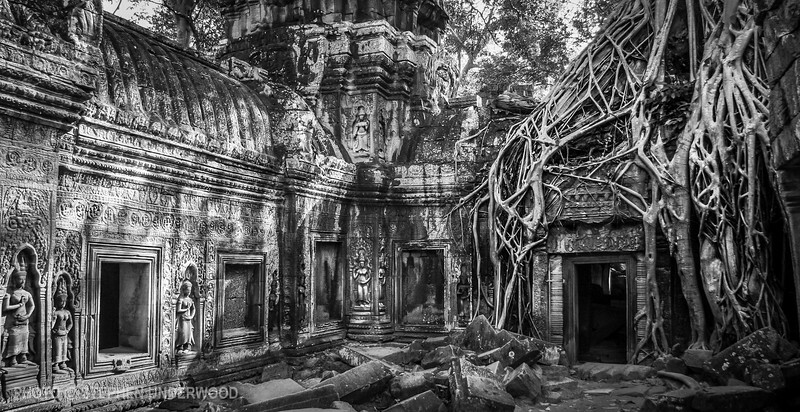 Driven by spiritual devotion and architectural ambition, the skilled and war-like Khmer rulers built many temples here, some on a massive scale. 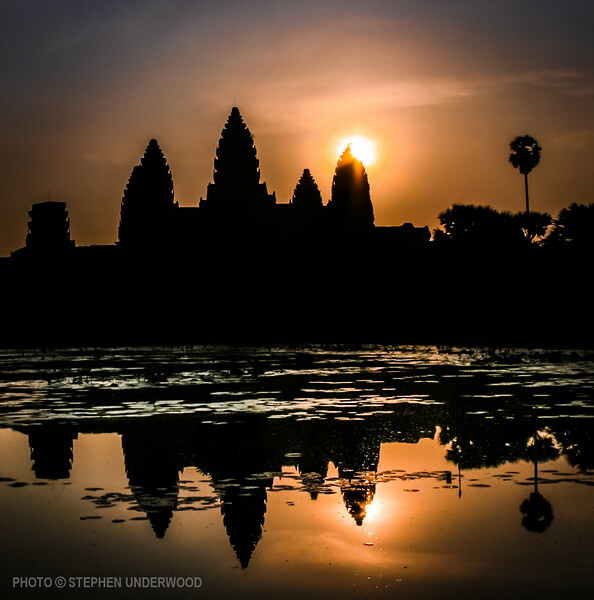 Angkor Wat is the greatest of the Angkor temples. This immense and complex structure, built in the 12th century CE, serves as a testimony to the phenomenal achievements that can be spurred by religious passion. 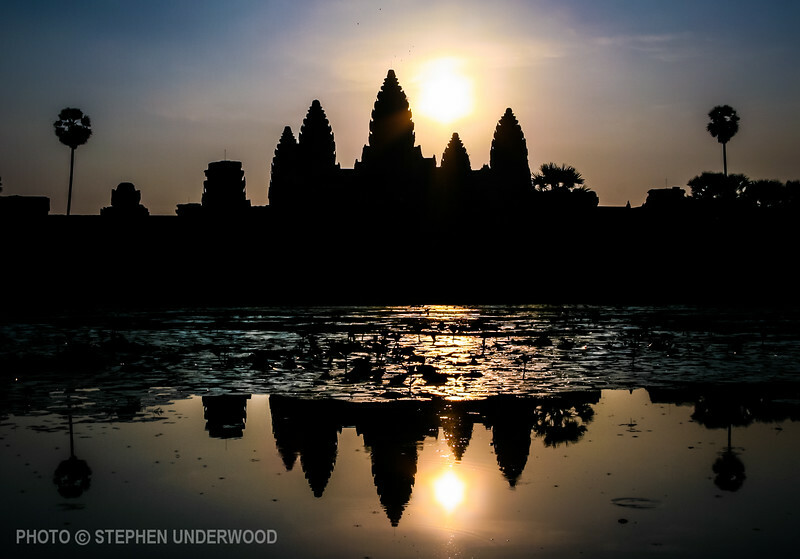 Angkor Wat was built to portray Hindu cosmology and includes an immense temple-mountain that represents the peaks of mythical Mount Meru - the home of Hindu gods. The temple is reflected in pools that may have represented the primeval ocean. Angkor Wat later became a Buddhist monastery. Nine centuries later, it remains the largest religious building in the world. 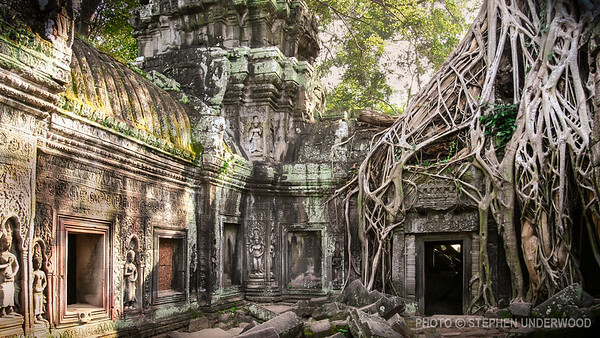 Ta Prohm temple is one of the most atmospheric to be found in the hot and humid forests of Angkor. 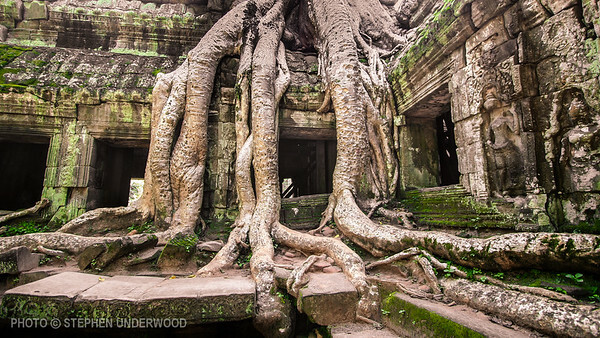 Over the centuries, huge trees have invaded the temple buildings and now their vast root systems embrace crumbling walls.